"Cryptonomicon" by Neal Stephenson. It has cryptography, WW2, cybercurrency, and the best ever description of a business meeting. "Jock Jams," because it is great when you need to psych yourself up. "It's much worse than we thought..." My husband and I have terrible luck with unanticipated house repairs. 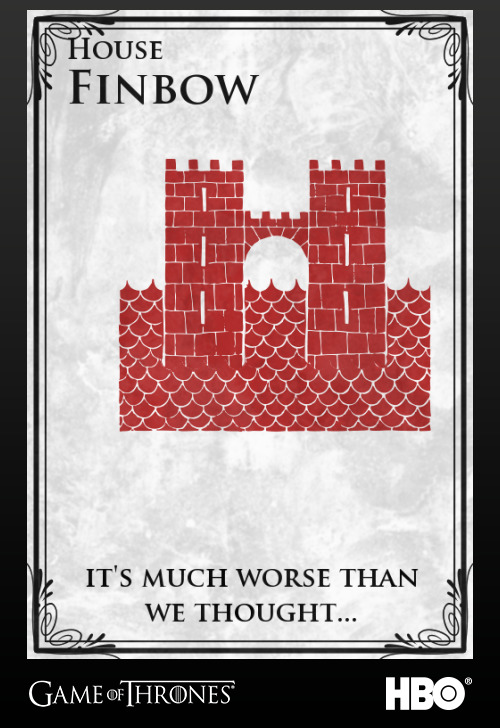 We made a "Game of Thrones"-style house sigil. As someone who advanced the humanistic ball just a teeny bit. Edinburgh. It combines livability and historic charm. I admire Captain Jack Sparrow for his circumstantial benevolence. The first time I saw a full orchestra perform. 3 Blue 1 Brown - It really explains complicated mathematical concepts in original ways. Gene Wilder a la "Young Frankenstein"
Smoking my pipe on the porch. Jo March in "Little Women" - she is willing to sacrifice to help her family and friends and she doesn't settle in life or love. GPS. I like to visualize where I am instead of just following directions and I like to know the direction I am heading. I also prefer the GPS to always be oriented “north up” instead of pointing the direction I’m heading. And I’m also one of those annoying people who give directions by saying “turn north” or “head south,” which I’ve been told is not very helpful. "Little House in the Big Woods" - I love Jack, the bulldog. "The Washington Post" - I'm a news junkie.